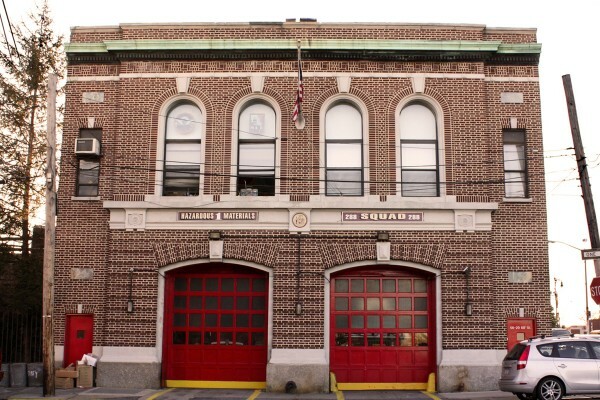 The city Landmarks Preservation Commission ruled that the Maspeth firehouse does not meet the criteria to be a designated landmark, despite a great deal of community support on the matter, a letter from the commission said. It was the second time the commission rejected the application for historic designation. Brother and sister Maspeth natives Steve and Maxine Fisher have been leading the charge to preserve the fire house and urged the commission to make the fire house a historic landmark after 19 first responders from the station died in the Sept. 11 terrorist attacks. LPC Director of Research Mary Beth Betts said designating the firehouse would not be permitted under the Landmarks Law. “A site must be greater than 30 years old, and the [Sept. 11] monument does not meet this eligibility criteria,” Betts said. After the Fishers presented their reasons for wanting the fire house, located at 59-29 68 St., made into a landmark in front of Community Board 5 members in September, the board agreed to send a letter in June to the LPC to confirm that the firehouse turned 100 this year. The historical location now houses the Squad 288 and Hazmat 1. After they received the commission’s response, dated July 16, the Fishers wrote a follow-up letter to Betts, stating the agency must be mistaken because they are not trying to designate a Sept. 11 monument. The building itself is 100-years-old, making it well past the 30-year mark for landmark designation, and framing their cause around the responders lost in the terrorist attacks is just to highlight its continued significance. “While I can accept your position that the building is not architecturally worthy of designation, since I don’t have a battery of experts to refute that view, I vehemently object to the LPC’s rejection that it is not historically significant,” Fisher said. Though he thanked the LPC for the role it plays in the city, Fisher urged Betts and the LPC to take another look at all the supporting documentation that has been submitted regarding the Maspeth firehouse. The first application the brother and sister duo submitted to the LPC was rejected as well, but they said their next step in pushing for the firehouse’s designation would be to ask elected officials to urge the agency to support the structure.